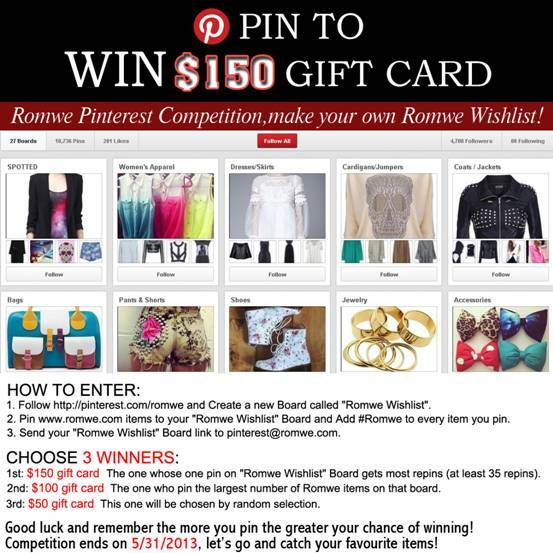 Romwe is holding a pinterest event! The winner will get $150 freebies. 1. Follow http://pinterest.com/romwe and create a new Board called "Romwe Wishlist". ohh thanks for this post! I want to enter now haha! -Win A Free Piece From Oasap on my blog!